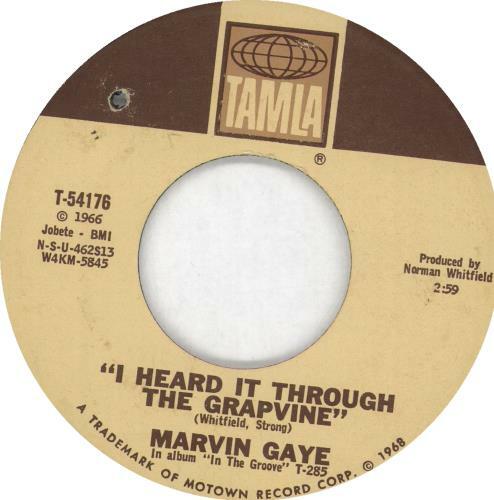 MARVIN GAYE I Heard It Through The Grapevine (Rare 1968 US wide-centred 7" vinyl single with the Tamla globe label design with all print in brown not black and 'Grapvine' spelt incorrectly, also including You're What's Happening [In The World Today]. With deletion drill hole through the label and housed in a plain die-cut paper sleeve. The vinyl has a light surface scuffs on side 1, otherwise a great example T-54176).